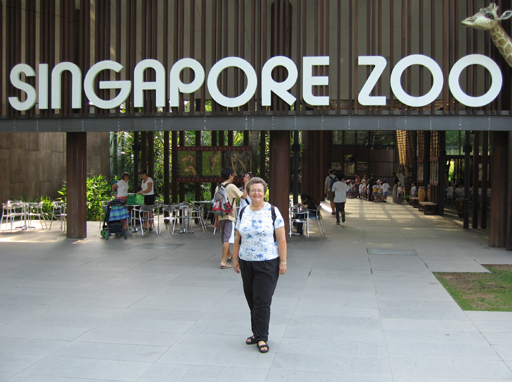 A visit to Singapore by air met our need for a “big city” fix. Phuket is nice, but sometimes we need to see the sights and hear the sounds of a real city and Singapore is certainly a grand city. 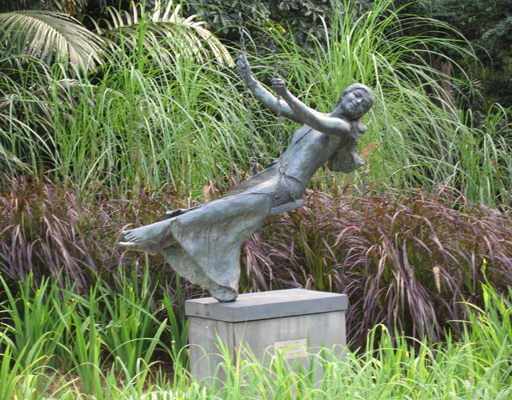 We were captivated by this statue of a girl whose swing is suspended from thin air in a pleasant strolling park in the heart of the city. 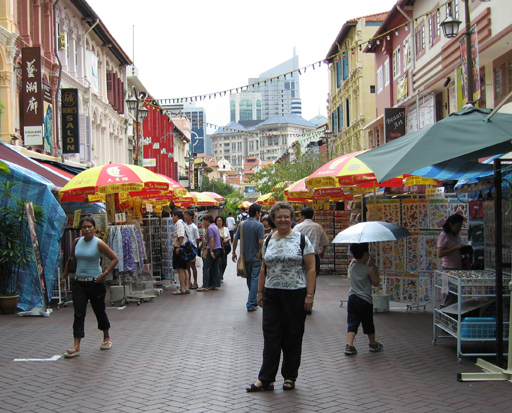 China Town in Singapore is always a bustling place with many interesting things to see. A small space with a large population requires dense housing arrangements. 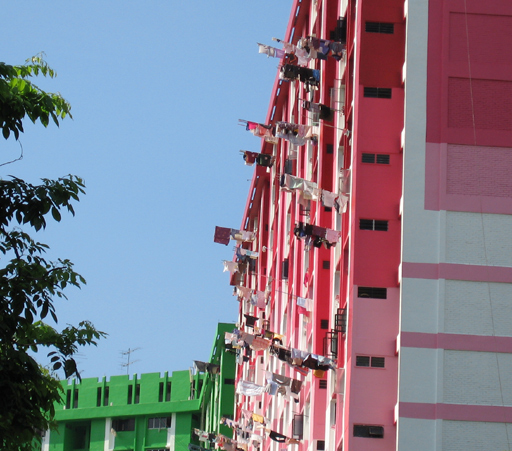 Laundry hanging from apartment windows has the appearance of festive banners. These solar powered laundry driers make sense for a city just one degree north of the equator. 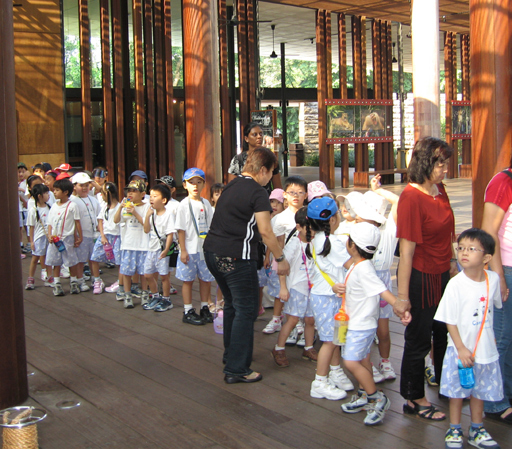 With no national ethnicity Singapore is an amalgamation of the cultures across Asia. 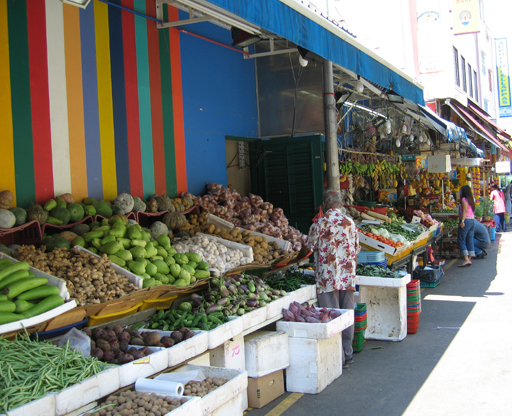 This market in Little India has many of the sights and smells of its native culture. 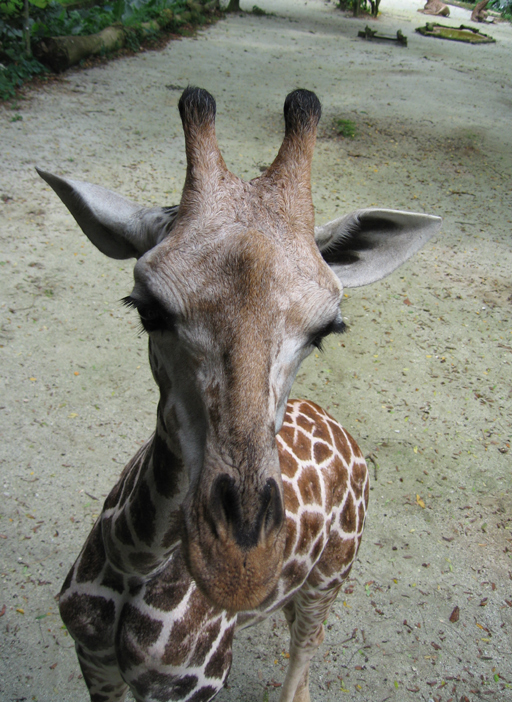 We enjoy visiting zoos if the animals are well kept. This must be one of the best zoos in the world. It is certainly the best we have seen. These halflings are not one of the official exhibits, but were just to cute to pass by. Exhibit? Whose the exhibit, you or me? 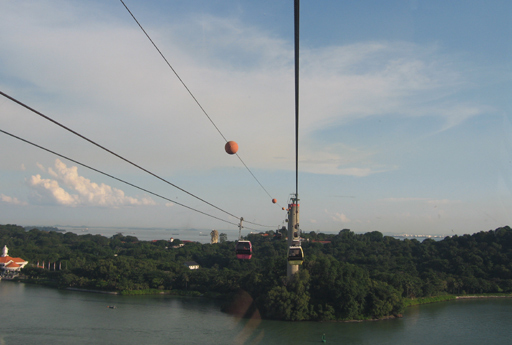 Cable cars to Sentosa Island let you have a good view of the city. The Merlion on the resort island of Sentosa is the modern symbol of Singapore. 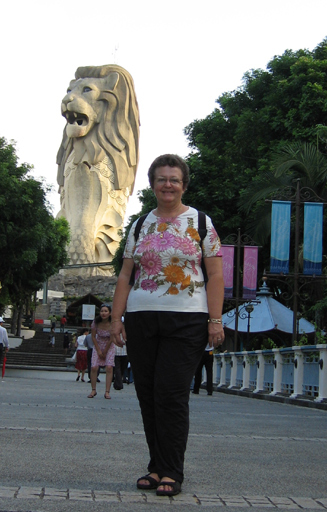 Singapore is a fascinating city to which we will return.